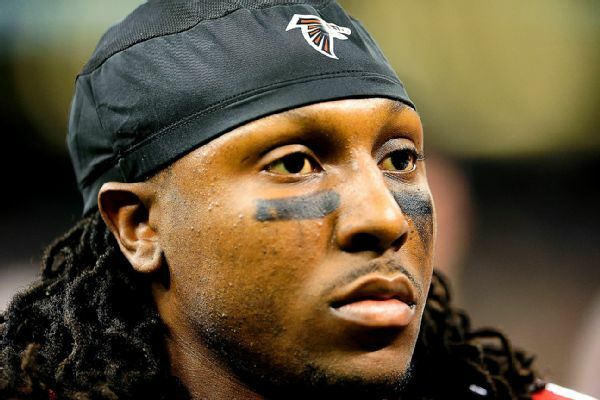 Tyrone Moore Jr., the half-brother of Atlanta Falcons wide receiver Roddy White, was shot and killed outside a nightclub in South Carolina early Saturday morning. Moore was 21 years old. We were all saddened to learn about the death of Roddy’s brother Tyrone. Roddy is part of our Falcons family, and families stand together in difficult circumstances. Roddy and his family can count on our support through this very trying time. On behalf of the entire Falcons organization, we extend our deepest sympathies and prayers to Roddy, his motherJoenethia, and their entire family. According to Charleston County Sheriff’s Maj. Eric Watson, via The Post and Courier‘s David MacDougall, authorities reported to the Lake House Club on James Island at 2:51 a.m. Saturday after several gunshots were fired. Moore was taken to Medical University Hospital with a wound, but he was later pronounced dead. MacDougall‘s report notes that no arrests have yet been made. According to MacDougall, the two brothers were raised together by their mother on James Island, where White was born, and Moore then lived with the Falcons star in Atlanta for “several years” while attending high school. White is set to enter his 10th season in the NFL. After playing his entire NFL career with the Falcons, he’s become a staple of the organization. The tragic news has obviously shaken an Atlanta Falcons organization in which White has been such a huge part of over the past decade.